I wanted to learn how people in other parts of the world celebrate Christmas, since it's right around the corner. I started researching recipes and found this tasty rice and almond pudding. 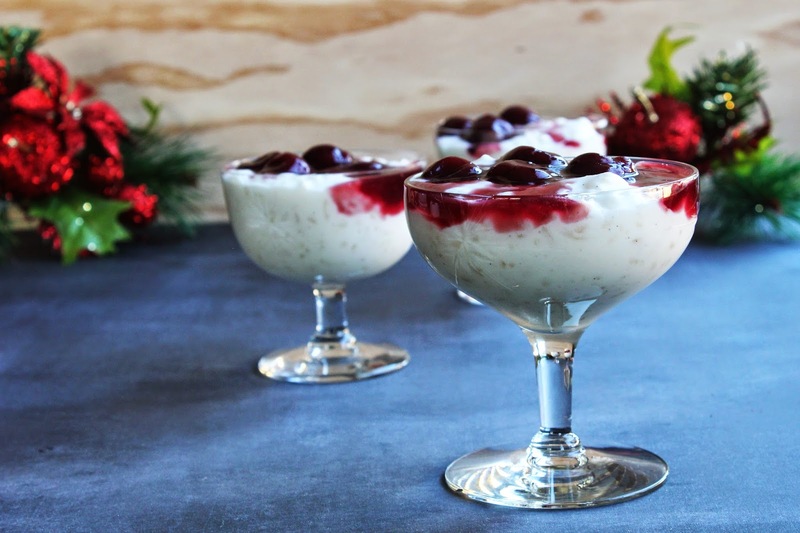 Risalamande is a traditional Christmas dessert from Denmark. 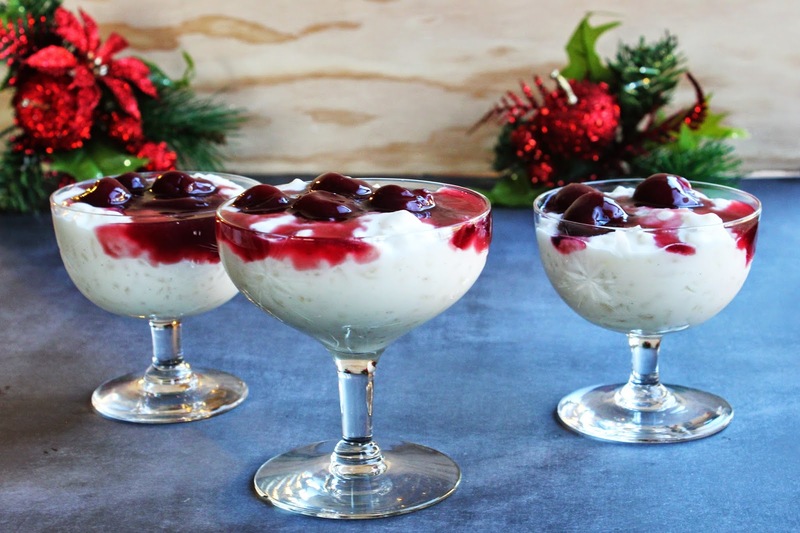 It's based on rice, cream, and almonds and served with hot cherry sauce. Plus, it's really easy! Bring milk, rice, and the seeds from the vanilla bean to a low boil and cover for about 50 minutes. Remember to stir often to make sure the rice doesn't stick to the bottom of the pan. After the rice is cooked, stir in the sugar. Remove the rice from heat, so it can cool. Once it is cooled, whip the whipping cream. I used my stand mixture and slowly increased the speed until it was fluffy. Stir the chopped almonds into the rice. After that is mixed, stir in the whipped cream. The sauce is really easy. In a pot, bring the cherries to a low boil. Stir the cornstarch into the water and add it to the boiling cherries. Let it cook and thicken for a few minutes until you're happy with the consistency. It's time to enjoy! 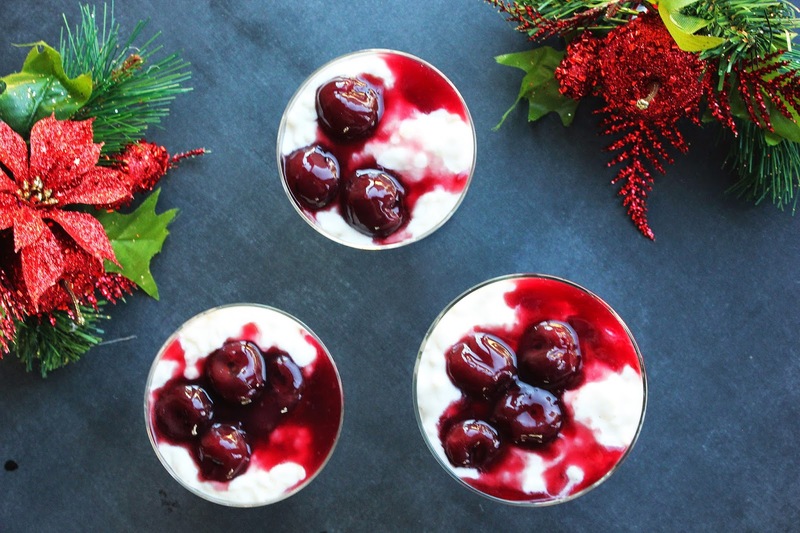 The pudding is meant to be served cold with the hot cherry sauce. So good!